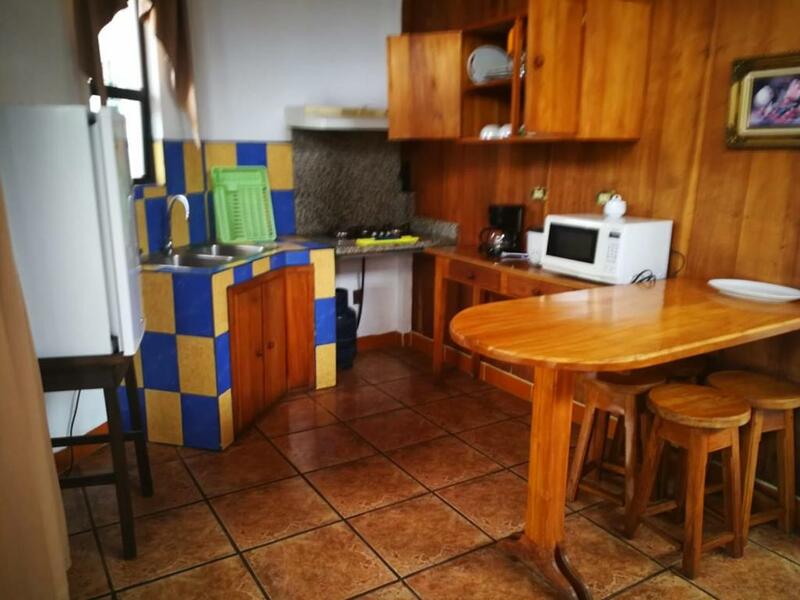 The apartment is very comfortable for 4 people, I would not say the 5th person would sleep well on the sofa because of the light from the kitchen. It was only 2 of us so this was not a problem during this trip. The bed linings, towels, kitchen, etc, were pretty clean and well maintained. The kitchen had all basic necessities in order to cook. The staff was always available when we needed them. Loved the huge space and kitchen with all ustensils. The AC and outdoor seating area were very nice too. We also found the staff very welcoming, flexible, and willing to help us with all of our requests. The building itself it’s not bad . I think it’s more the location . It’s located in a residential area . You see insects which was scary . Super helpful staff. Eddy helped us pack and unpack our car and park in the garage. Nice big apartment on the top floor a nice view. Airconditioned with lots of nice personal touches. 5 minutes drive to Manuel Antonio National Park and beaches. Great size appartment. 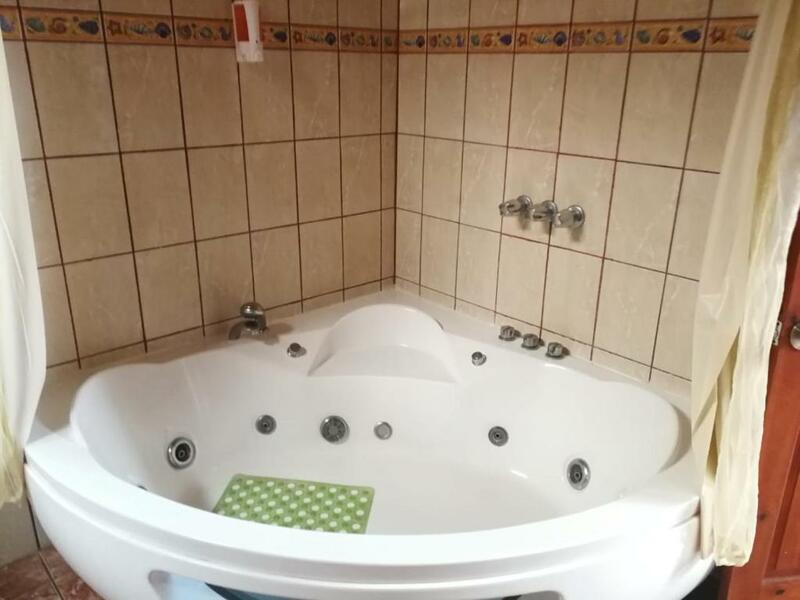 2 bedrooms with AC which was much needed. Nothing around the appartment except for 1 Joseth Market store which opens from 6am to 21pm. It’s right on the corner (100 m). There is a kitchen with a small fridge, therefore you can cook your own meals. Market sells everything including alcohol and fresh meats etc. 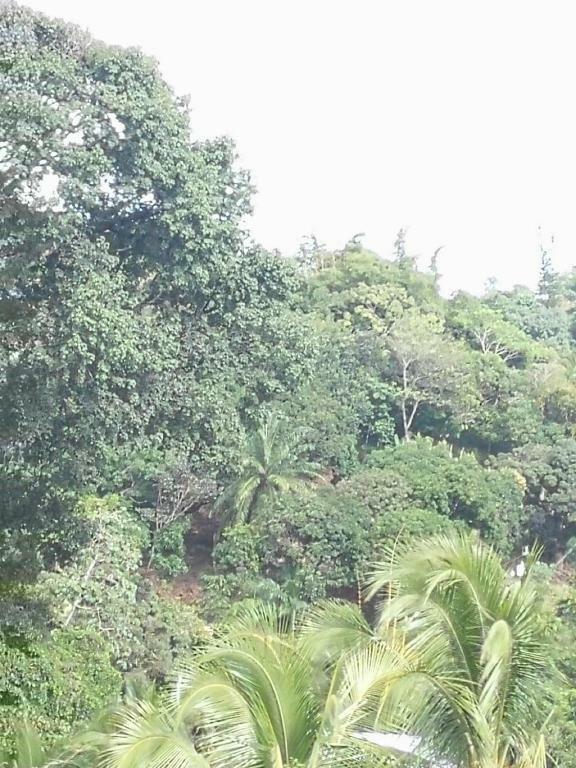 From the hotel you can deive or get a UBER or taxi to go to Manuel Antonio National Park or beach. 10 min drive max. 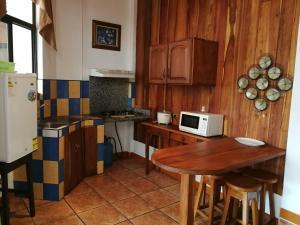 Cozy and spacious apartment in a calm side road, nicely furnished and offers a big bathroom and a nice kitchen. Area for sitting outside, the whole apartment with a lot of windows. Staff is super friendly and welcoming, giving us all the information we needed around Manuel Antonio. Perfect place for a family! 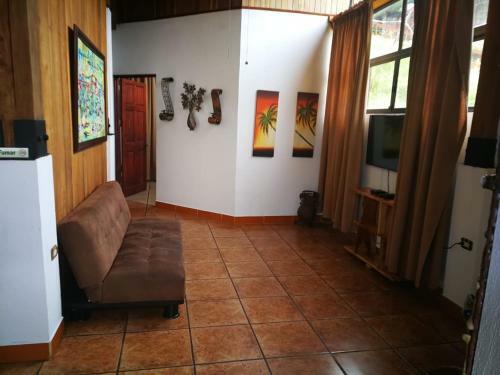 Just a 5 minute drive from Manuel Antonio National Park, this self-catering accommodations is located in Manuel Antonio. Natural Pacific Suites features a terrace, hot tub and laundry facilities. Free WiFi access is available. 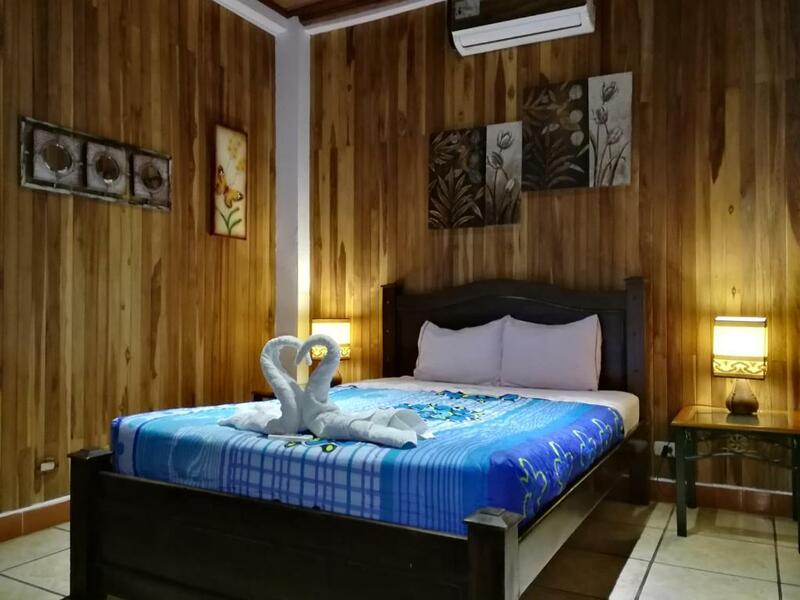 Each fully-furnished room features a flat-screen TV, satellite cable, sofa, and a kitchenette with a microwave and tea/coffee maker. 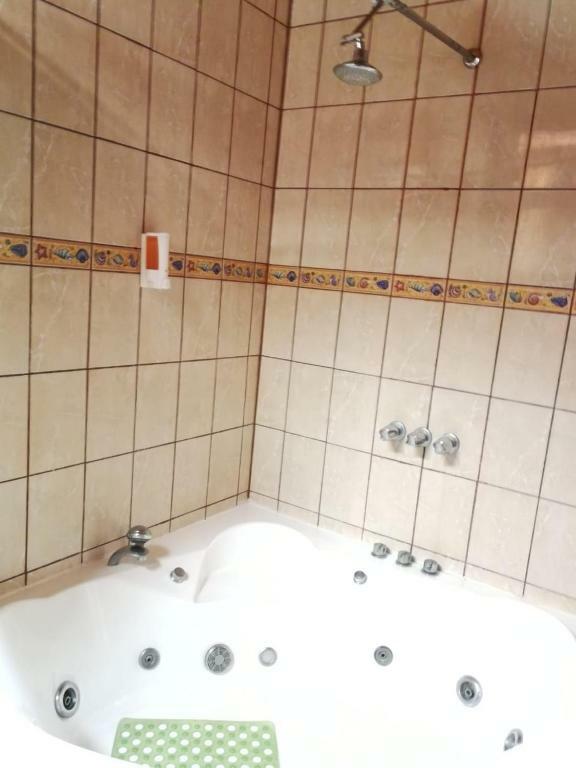 Private bathrooms include a bath or shower. Natural Pacific Suites comes equipped with a shared lounge and TV area. Guests can also enjoy activities in the surrounding area, including snorkeling, canoeing, horse riding and hiking. The property offers free parking. Juan Santamaría International Airport is located 41 mi from the property. When would you like to stay at Natural Pacific Suites? 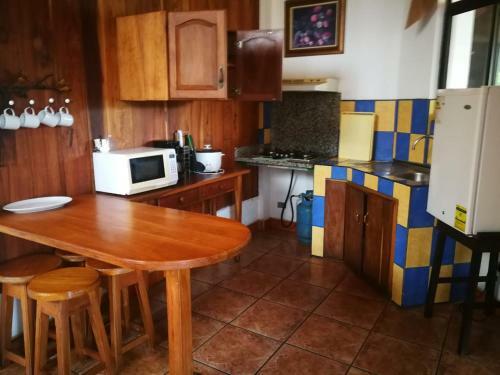 This split level apartment features a kitchenette with a microwave and tea/coffee maker, a flat-screen TV and air conditioning. Featuring a seating area, sofa and flat-screen TV, this apartment includes a kitchenette and a mountain view. 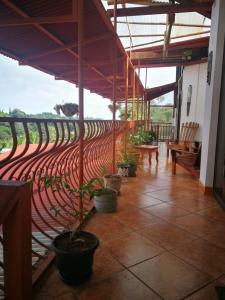 Natural Pacific Suites is a 4 Apartments complex. Located in Manuel Antonio , between local people and within walking distance of restaurants, bars, supermarkets and only 5 minutes driving to the beaches and the Manuel Antonio National Park . 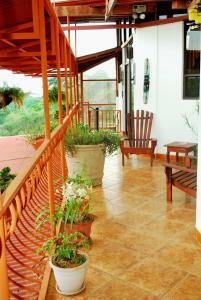 Each apartment is equipped with kitchen, cable TV, A / C and two bedrooms with private bath and hot tubs . We are an excellent choice for families , friends and couples looking for a clean, safe , pleasant , comfortable and affordable accomodation. My name is Alban and I have been working in the tourist industry for over 15 years. I am passionate about my work and share every day with people from all over the world and with very different beliefs and cultures. I love being able to help our visitors to learn more about our country. I have work for travel agencies, hotels, tour operators and restaurants within and along The Costa Rican territory which helps me to help guest with full information of local activities, transfers, flights and more. Manuel Antonio is world famous, cause the National Park and its beaches. We are lucky to be settled in this marvelous destination. 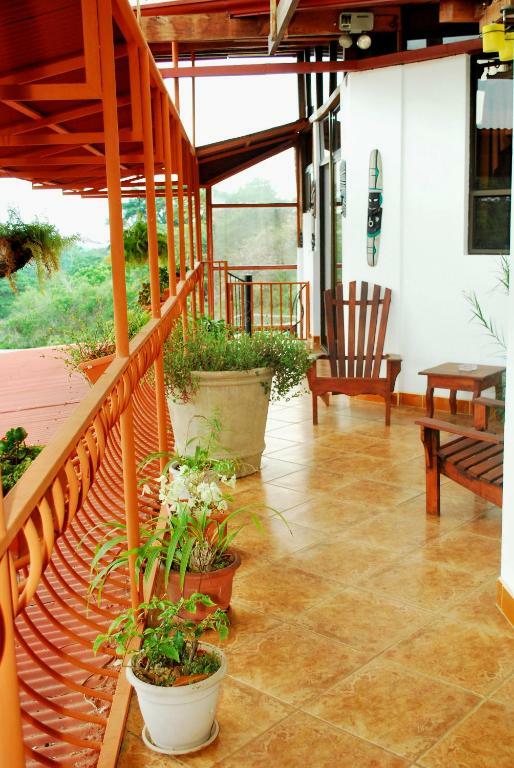 Natural Pacific Suites is located among local homes and costa rican families and away from the noise of the main street. House Rules Natural Pacific Suites takes special requests – add in the next step! Natural Pacific Suites accepts these cards and reserves the right to temporarily hold an amount prior to arrival. Please inform Natural Pacific Suites of your expected arrival time in advance. You can use the Special Requests box when booking, or contact the property directly using the contact details in your confirmation. Facilities a bit tired and need refreshing. Jacuzzi did not work and there were some light bulbs missing so some of the property was rather dark. The place only offers 2 parking spaces. Even though we requested parking during the booking, we were told to park outside, at the side of a very narrow street, since both parking lots were being used by previous guests. We could only park inside during our second day. We did not get hot water in the shower. When we were lucky, we got about 2 mins of hot water off and on. One of the rooms has a window that cannot be locked, which made us feel a little uneasy as anyone could enter the apartment. The place itself seemed pretty safe, but I guess you never know. Also, they do offer a safe box. Appartment was kind of dusty in some places. Shower was cold. I don’t mind that much but some people will. A couple of renovations would help for sure. There were parts of the room that were a bit dusty (behind the TV, under the bed). I wouldn’t recommend this hotel for someone traveling with kids . We felt bad because the guy Eddie is exceptional but we wouldn’t go back here . It was kind of dusty and my daughter got sick from it . Ended up going to a private clinic for medicine . There’s only a/c in the rooms . They could make it a little cheaper and I’m sure more people would go and wouldn’t complaint . 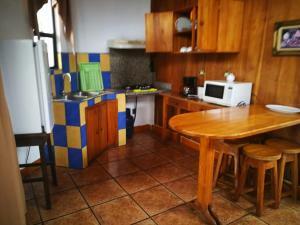 Excellent staff, big two bedrooms!!! The pull out bed wasn't too great. Little more equipement in the kitchen. We liked spacous appartment with a kitchen.It was clean. Our kids liked billiard table..